HomeBootlegBootleg: While She Sleeps in Holland! Bootleg: While She Sleeps in Holland! Filmed in Melkweg Amsterdam Netherlands, here’s fan filmed footage of “Silence Speaks”, “Our Courage”, “Hurricane”, “You Are We” and “Brainwashed” from independent Sheffield Metalcore heroes While She Sleeps. 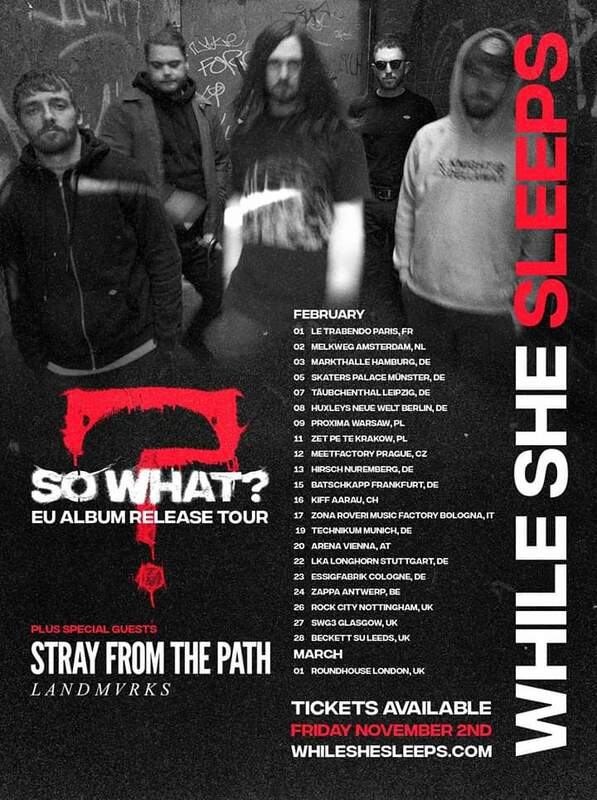 The band will release “So What?” via their own Sleeps Brothers label on 1st March and announce the album with the final date of their European tour with Trash Boat, Landmvrks and Stray From The Path at The Roundhouse in London! Bootleg: Sing-a-long to “Temple” with Tonight Alive!